You may know W. Kamau Bell from his new, Emmy-nominated hit show on CNN, United Shades of America. Or maybe you’ve read about him in the New York Times, which called him “the most promising new talent in political comedy in many years.” Or maybe from The New Yorker, fawning over his brand of humor writing: "Bell’s gimmick is intersectional progressivism: he treats racial, gay, and women’s issues as inseparable." After all this love and praise, it’s time for the next step: a book. 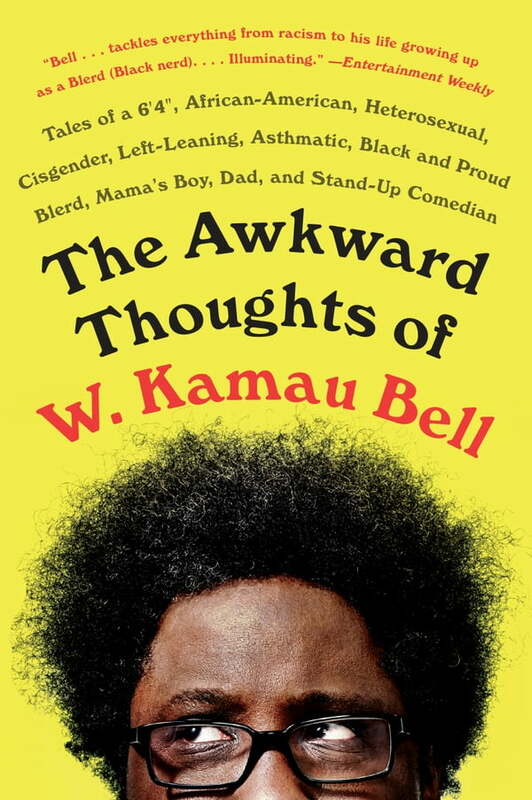 The Awkward Thoughts of W. Kamau Bell is a humorous, well-informed take on the world today, tackling a wide range of issues, such as race relations; fatherhood; the state of law enforcement today; comedians and superheroes; right-wing politics; left-wing politics; failure; his interracial marriage; white men; his up-bringing by very strong-willed, race-conscious, yet ideologically opposite parents; his early days struggling to find his comedic voice, then his later days struggling to find his comedic voice; why he never seemed to fit in with the Black comedy scene . . . or the white comedy scene; how he was a Black nerd way before that became a thing; how it took his wife and an East Bay lesbian to teach him that racism and sexism often walk hand in hand; and much, much more.